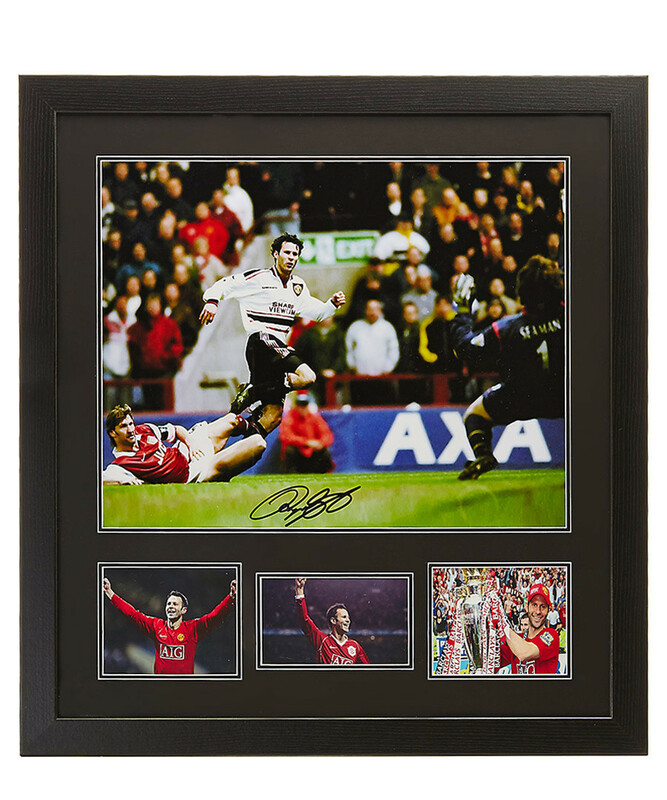 Own a piece of football history with this authentic signed Ryan Giggs photograph, scoring his 1999 FA Cup Semi Final wonder goal. During the second half of extra time, Giggs picked up possession on the halfway line after a loose pass from Vieira and dribbled past the whole Arsenal defence, before scoring a left-footed strike just under the crossbar out of the reach of goalkeeper David Seaman. In 2003 the goal was voted the greatest ever in FA Cup history.